I don't know if it's me getting old and soft, but flippin' eck games used to be hard. I died countless times in the hedge maze in alone in the dark 2. 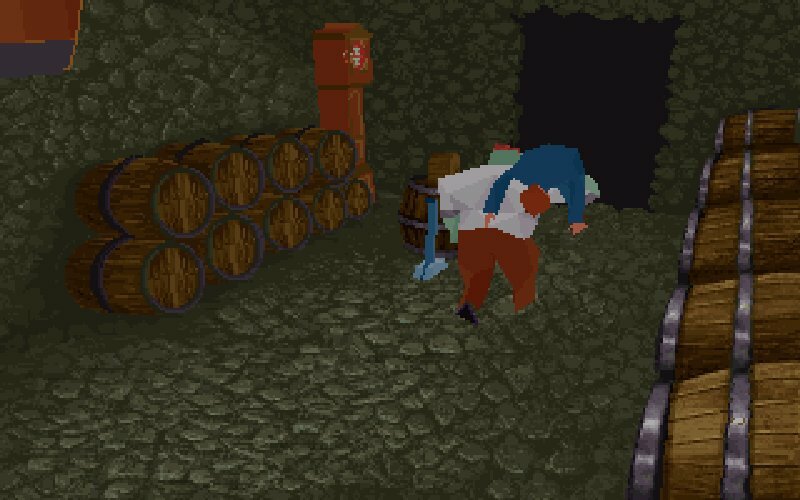 I spent hours slogging through tommy-gun wielding zombie pirate gardeners (no, really), falling down giant playing cards, being battered by possessed branches and getting killed over and over again. I was screaming at the computer in frustration as I ran out of ammunition for the umpteenth time and attempted to headbutt the zombies to death before the inevitable reload. And where was this dreaded hedge maze? Surely it was near the end of this fiendish game? Nope, it was the very first screen. How did people ever progress with these games back in the old days without going mad? How did I ever complete this all those years ago? Well, the answer was: with a bit of glitching. Turns out I had the right idea with my headbutting. If you get in really close to the zombies then you can melee them without them being able to shoot you. Doesn't work so well when there's a big group of them, but in those situations it's usually possible to get them between each other so one shoots the other one instead of you. Also, with all the ammo you've saved by headbutting the single guys you're usually able to bring out the big guns when you're surrounded. But yeah, it's hard. And as for the bit where you play the little girl who has to run away from all the zombies... not fun, not fun at all. Anyway, it's done, so next up is Alone in the Dark 3, where the zombies are transplanted to a wild west film set. Those crazy French. I've also made a start on CyClones, where I've died numerous times already... in the first room... on easy skill level. Why are old games so hard??? Oh, and stats are up on the right now...still a long way to go.